This is one of our personal favorites. We use black raspberries that are indigenous to this area. Needless to say, they have a taste all of their own. 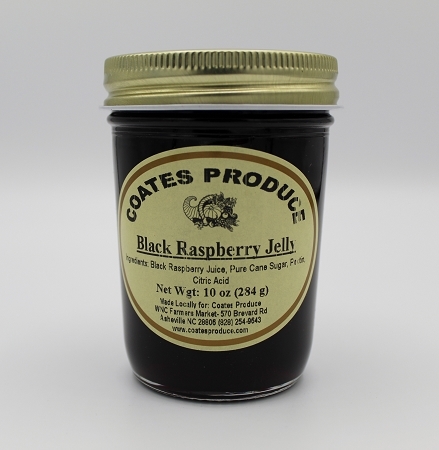 Our Black Raspberry Jelly is made in small batches and hand stirred. Ingredients: Black raspberry juice, pure cane sugar, pectin, citric acid.